Harmony Senior Homes are designed with you in mind. If you are looking for a home with warmth and personal attention, come to visit one of our adult family homes in Vancouver or Washougal. Our residents prefer the comfort and relaxed feeling of our homes, over the institutional atmosphere of a care facility. 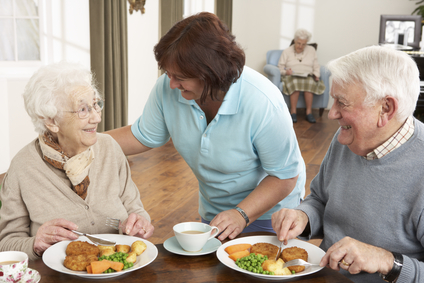 Our homes offer a low caregiver-to-resident ratio, as well as consistency of staff. Our staff members are like family, and give the highest quality care found anywhere. If your needs include peace and privacy, along with outstanding services and amenities, this is the place for you. At our homes there won’t be lots of people going in and out, no strangers around. Our home is your home, a calm retreat where residents are seen as individuals, who have unique needs and interests. All of our homes are located in serene residential neighborhoods, giving residents the peace of mind that comes with a secure environment. Our homes are safety equipped with many security features in place. With a visit to our homes, you or your loved one will see that this is the kind of special place you deserve to experience. Call for a tour today!